The four downtown bike racks are the “sons and daughters” of Cindi the Cyclist and her partner BikeLakeland. 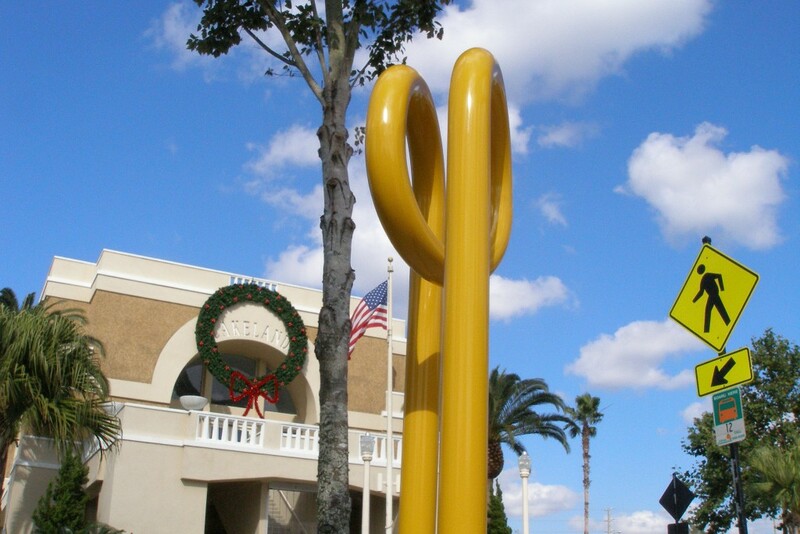 Cindi is the artistic bike rack located in Munn Park across from Nathan’s Mens Store. To make the downtown racks easier to find, they’re all painted yellow. Playfully named like Cindi, the racks are “Gigi” (Kentucky at Traders Alley), “Celso” (Lemon at Kentucky), “Haru” (Tennessee at Main), and “Sophie” (Pine at Tennessee). Today “Frances” joined her brothers and sisters to help cyclists find a place to park. Like the others, Frances is a 3′ tall yellow metal culicues bike racks sponsored by the BikeLakeland initiative. Unlike her siblings, Frances is not based on a street corner in the merchant district. She was placed across from the Amtrak Train Station on Main Street by the Frances Langford Promenade. 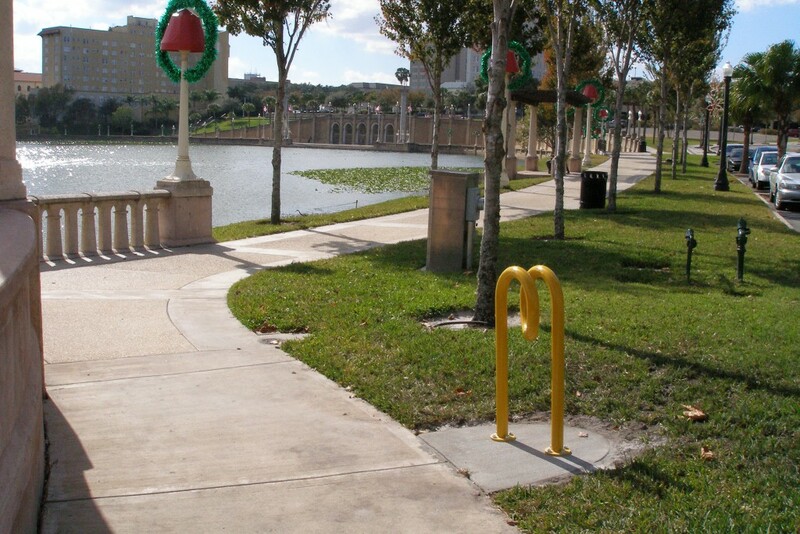 She is set to serve recreational cyclists coming downtown to ride Lake Mirror or walk the promenade. She also stands as a bike-friendly beacon for visitors arriving by train. Update: We left out a huge thank you to the City of Lakeland Public Works and Parks & Recreation staff for donating their labor and materials to install Frances!